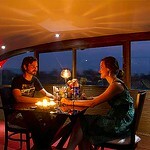 Kerala Honeymoon Houseboats ~ Luxury Boats & Best Offers! The houseboat for the perfect honeymoon. We named this boat the royal suite as it was our way to salute the luxury of Versailles but adapted to a more modern minimal style! 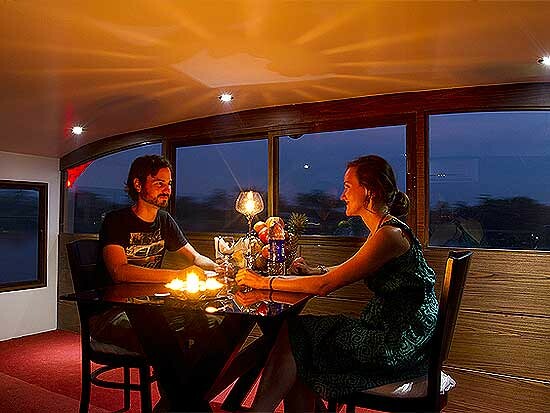 Compared to other single bedroom houseboats in a One & Only Top Luxury Honeymoon houseboat with jacuzzi in Alleppey. 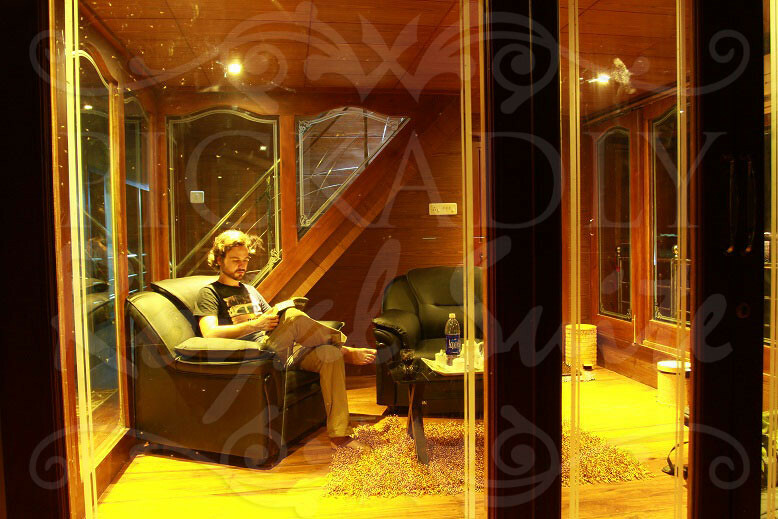 Before starting the work of Royal Suite we had enough feedback from our previous clients to build a top luxury honeymoon houseboat. On the construction time we give primary attention for the client's privacy as well as luxury. 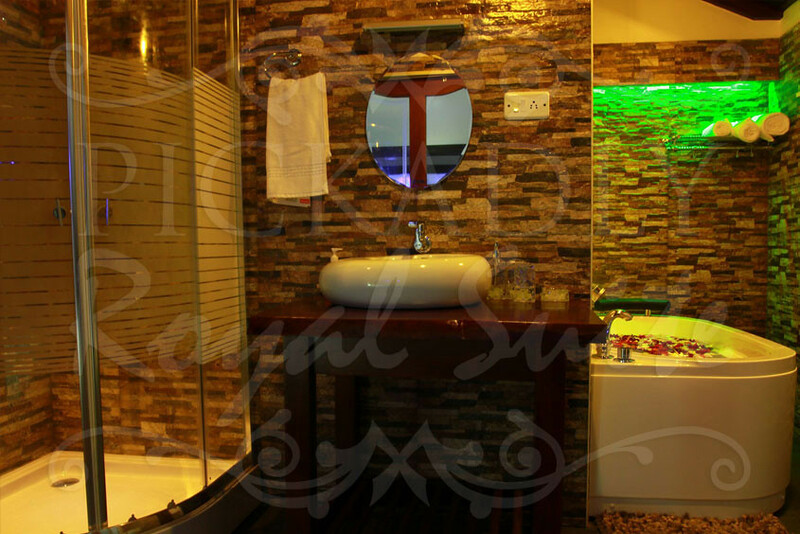 Royal Suite has fully glassed private living area, 5 star accommodation with king size bed, Jacuzzi & Shaver panel, fully glassed private dining area, uniformed and english speaking crew members, luxury furnishing, operate different cruise routes & food menu, full time air-conditioning, ambient lighting to make the evenings more enjoyable. 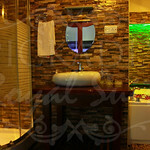 all in all Royal suite maintained international standards. 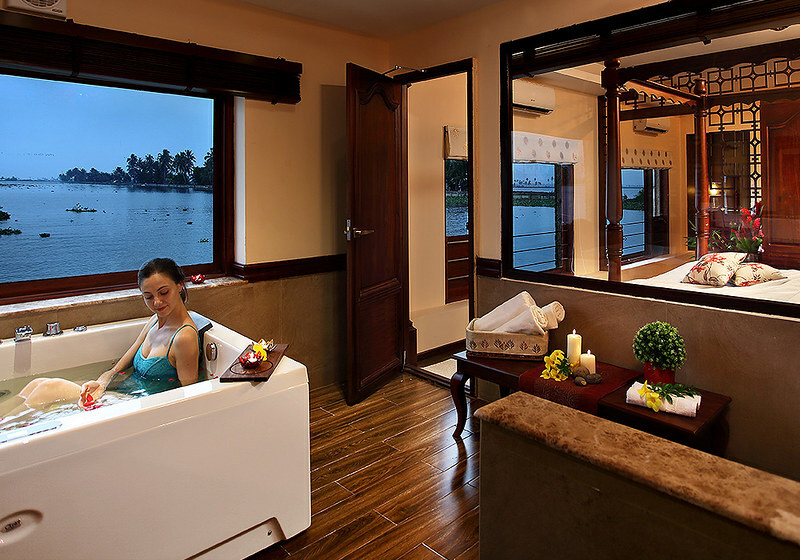 We welcome all the travellers to enjoy the tropical greenery and the vignettes of life in backwater village. Uniformed and well trained staff. Enclosed upper and lower deck for Mozzie-free evenings and dinner. 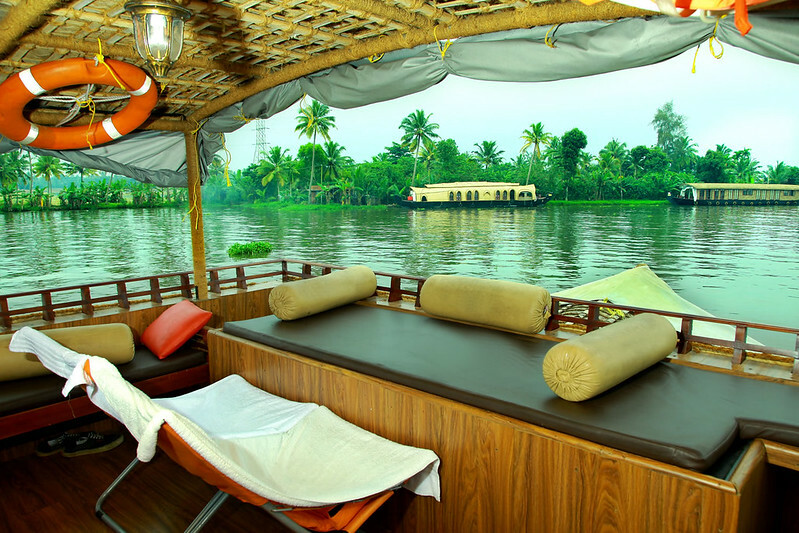 Upper deck that allows you to enjoy a private panoramic view of the backwaters as you cruise. 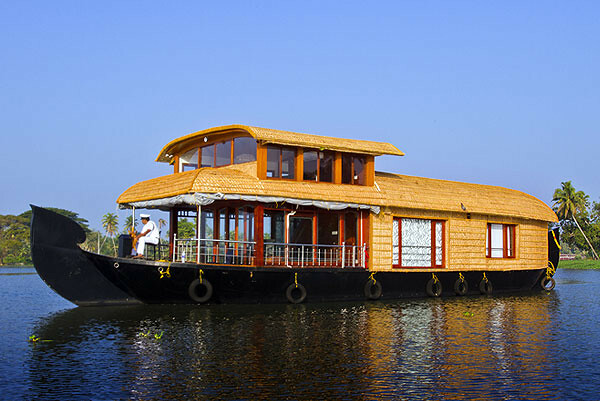 The most luxurious boat ever bulit in Kerala in our opinion! 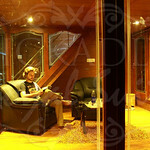 1 Cabin for Two in romantic and luxurious splendour. Includes Upper deck. 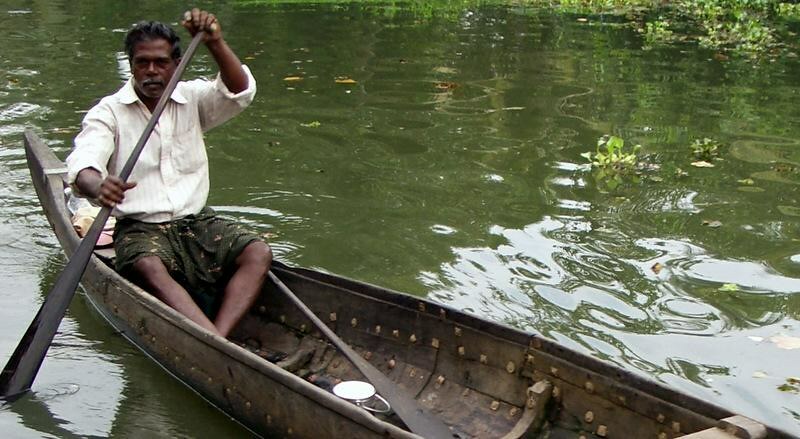 The extended version of the popular 1 day cruise with an extra day: covers more backwaters and travels deeper in the quiet beyond. Available in different ratings and sleeps from 2 -8 as required. The long three day cruise reaches far into the backwater canals where other boats fear to tread. Unspoilt and largely unvisited and so much more interesting for it. Only works with smaller boats.